Although it's a new division, men's physique has taken the NPC and IFBB by storm! Learn more about what makes this class special and get some advice from the competition. 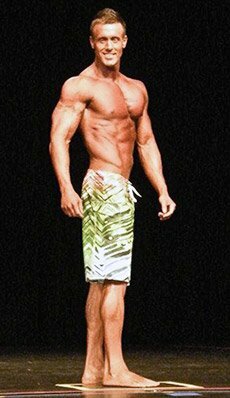 Before 2011, if a guy wanted to show off his body in the NPC arena, he'd have to compete in bodybuilding. There wasn't another option. That means hardgainers, 6-foot-7 giants, and guys just looking for a challenge would have to pack on the mass and hope for the best. Today, amateurs and pros alike can compete in the men's physique division. Although it was met with jokes and criticism at first, it's since become a legitimate division that's home to some great athletes. 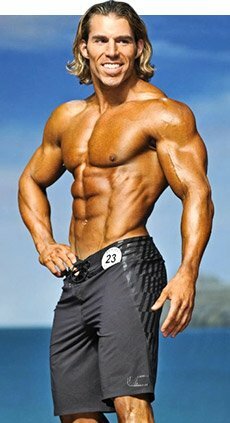 Because it's a fairly new division, men's physique doesn't have the history, reputation, or legacy that open bodybuilding does. It's also unfamiliar to people outside the competition circuit. So, here's the low down. "Judges will be looking for fit contestants who display proper shape and symmetry combined with muscularity and overall condition. This is not a bodybuilding contest so extreme muscularity should be marked down." For athletes, interpreting these rules can be confusing. How lean should I be? How big? If you're planning to compete, check out the competitors of previous contests in your area. Pay attention to what the athletes looked like and who did well. It's also a good idea to research other contests around the country to see how the athletes look. By doing this, you'll be better able to decide the best way to come in (bigger, leaner, etc.) for a particular show. I also suggest reaching out to experienced competitors or coaches. At one point, they were right where you are now. Most are happy to help answer your questions. "Contestants will be asked to walk in board shorts (shorts must be just above the knee in length and can be one inch below the belly button, no spandex and no logos are permitted on the board shorts however a manufacturer's logo such as Nike symbol or Billabongs are acceptable.) Competitors will enter the stage without a shirt and barefoot. No lewd acts allowed for example the moon pose. Judges are looking for the contestant with the best stage presence and poise who can successfully convey his personality to the audience." Many people outside the division (especially bodybuilders) think the longer board shorts are worn to cover the lack of leg development. Yes, some of the physique athletes do have small legs or aren't proportional, but that's not always the case. Some of the best legs I have ever seen are on physique athletes. Does that mean they are the size of Jay Cutler's? No, but they are balanced with great definition and bring together a symmetrical and aesthetic physique. Like many physique athletes, I think the shorts should be shorter. It's a physique contest and your legs are a part of your physique. I think that allowing the athletes to show a little bit more quad would make the division even more competitive and bring it more support and credibility. "Judges are looking for the contestant with the best stage presence." I think most athletes would like the freedom to do an actual routine to show their personality. I also think that more mandatory poses like the double biceps would show off more of the physique. After all, this is a physique contest and some of the best parts of the physique are never shown because there aren't any poses. However because these mandatory poses are regulated nationwide, everyone who competes is on an even playing field and presents the same assets on stage. That way, no athlete has any advantage over another. The judging criteria have evolved over time. The first pros chosen for the class were bigger with more musculature. From there, competitors were smaller and "softer" than their predecessors. It's going to take some time for this new class distinction to take hold. For the first competitors in the new division, the first year was rough because they didn't know what condition to bring to a show. Some athletes changed their overall physiques multiple times, but were continually met with frustration. Even now different parts of the country have unique standards for winning physiques. "Judges will have the opportunity to compare competition against each other on the biggest states." Even if you've already competed in men's physique, you might be looking for some direction. Here's my take, as well as some help from two other competitors. The advice I give to anyone wanting to participate in the Men's Physique division? Research. Find out what the other athletes look like, placing trends at various shows, popular colors of board shorts. Don't be afraid to ask questions. Use the resources you have and educate yourself. It's also important that you use a training regimen and nutrition plan that will build the ideal physique for the class. Nutrition is 80 percent of the equation, so put extra emphasis on your nutrition plan. If all of your research and asking questions still leaves you with questions, consider hiring a trainer. I wouldn't be where I am at today without the help of a coach. All the top athletes in the industry have worked with coaches at one time or another and most all of them still do. YouTube is great for learning how to pose and getting a sense of which physiques are best. Also, BodySpace is a great place to meet and interact with top pros and other competitors in the industry. "It's important that you use a training regimen and nutrition plan that will build the ideal physique for the class." Trying to be just like someone else is a recipe for failure. It's okay to look up to, learn from, and be inspired by others, but don't put yourself below them and assume that in order to be successful, you have to emulate them. Blaze your own trail! You can accomplish anything you want with a strong mind, strong goals, and hard work. So if you want something, go get it. If you try to copy whatever someone else is doing, you lose sight who you are and what you represent. That indecision will definitely show up on stage. Surround yourself with positive people. Negative people will just bring you down and make it that much harder for you to achieve your goals. The people who bring you down are afraid of change. They feel that your positive attitude and hard work will somehow make them have to change. Those changes are scary, so they become your worst critics. Last, ditch the bodybuilding mentality. By all means bring a physique to the stage that you are proud of and you feel best represents you. But remember, bigger isn't always better. If you want a bigger physique and more of the bodybuilder look, you may want to consider that class. After placing 10th at the Orlando Europa IFBB Men's Physique show, I need to take some time to reflect on my priorities. I felt that I brought my best package to date. I competed twice as a pro in 2012. I was told that I was too big and needed to tone down my look. "It's great to dream big, but it's better to have a solid plan of action and then work hard to execute it." This year, I was able to bring in my waist an inch and bring down my stage weight seven pounds to 210. I listened to feedback and applied it to my training and prep. I encourage everyone to do the same. The reason I started competing in the first place was for the exposure. I wanted to display my brand and monetize other opportunities that I have working. Knowing this, I'll say that before you step on stage, you need to come up with a long-term goal. What do you want to get out of competing? Is it to be Mr. Olympia in men's physique? Is it to land on the cover of magazines? Is it to get rich? If it's to get rich, you need to focus on delivering a product or a system which separates you in the industry. There are few big contracts handed out anymore. I live in NYC, so my take on "rich" may be much different than yours; but to make six figures in the industry is going to take a lot more than getting sponsored. There are a lot of people willing to offer their time and energy for free, so a sponsorship may not help you financially. I don't mean to kill your dreams, but I bring this up to give you a sense of reality. It's great to dream big, but it's better to have a solid plan of action and then work hard to execute it. Get busy, inspire others, and do your best to enjoy the journey. I have a hard time doing the latter, so my focus for this year is to live in the moment. 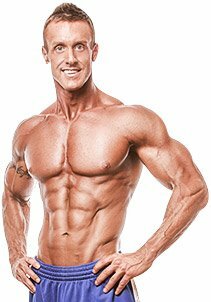 The advice I give to someone who has aspirations to compete in Men's Physique would be to find a good nutritionist/prep coach. The nutritional aspect is such an integral part to competing that if you don't fully understand your body, it can hinder your results. "The judges love to see that you are interested in making yourself better on stage, and bettering the sport as a whole." People tend to ruin their metabolism by drastically depleting their caloric intake (especially carbs), and doing excessive cardio. A nutritional coach is there as a guide until you hit that stage. Your entire prep, "peak week" in particular, is all about nutritional science; and if you don't understand how to reach your full physique potential, then you need to make this investment. As for what you need to look like, there is no "set-in-stone" image that the judges are looking for. They say you can't be too hard like a bodybuilder, but you can't be too soft either. Your placing depends on the opinions of the judges at each specific competition. Because every competition may differ, my advice is that you come in looking the best that you can. If you go into the competition with the mindset: "Hey, I gave it my all and I couldn't do anything else to make my body look any better," then no matter the placing you won't question your prep. If you try to compete while lacking fullness and tightness and don't place, you will question the choices you made throughout your prep and will inevitably drive yourself crazy. Let's say you come in looking fantastic, but you don't place or don't place as high as you think you should have. Don't make a scene, don't run your mouth, and do not bash anyone. Congratulate the winners on their success and solicit feedback from the judges. Ask them what you can do to improve your placing. The judges love to see that you are interested in not only making yourself better on stage, but the bettering the sport as a whole. One last note of advice: after the competition, it is okay to reward yourself with an "I'm off the prep diet" cheat meal. Here's the key, keep it to a meal and not a weeks' worth of binging! Your body's metabolism is slowed down from the prep, and when you load up on all that food, your body will store it. Instead of going crazy, a better idea is to do a reverse-prep diet. Start adding the calories back into your diet slowly to avoid drastic weight gains. Your metabolism will catch up to the food intake and return to normal. Why kill yourself for 12 weeks only to spend a week regaining all the weight? So there it is, the nitty gritty of Men's Physique competition. Yes preparation is difficult, and judging can be confusing, but your time to shine on stage in front of your friends and family is definitely worth the work. Give it a try and let us know how you do!